What is shark bite piercing? 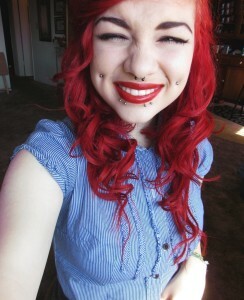 It is a relatively new type of lip piercing done on both sides of the lower lip. Since a wide a variety of jewelry goes well with shark bites piercing, youngsters are getting them done for enhancing their smile. It is also known as double snake bites piercings. Opt for a well-recognized piercing parlor having a considerable amount of experience in all types of lip piercings. Before marking the precise piercing spots with a marker, the lower lip is cleaned properly by the piercer. Four perforations are made on the lip using a sterilized, light needle, followed by insertion of the jewelry. As this style of piercing involves a set of four piercings, it might cause intense pain along with some bleeding. Do not worry if your lower lip remains swollen for some days as it occurs with any fresh piercing. 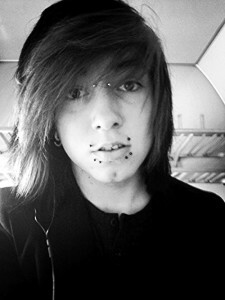 Complete healing of the piercing takes about 2 to 3 months. Similar to other forms of lip piercings, there is a greater possibility of teeth and gum damage due to the rubbing of the jewelry against the gum line. You have to be quite careful while having your food as subjecting the pierced lip to undue trauma might increase the chances of infection leading to painful inflammation, redness, and pus discharge. If the jewelry is improperly placed, then it will cause itching, and irritation near the piercing that may gradually cause the jewelry to migrate from its previous position, resulting in rejection. You have plenty of choices regarding the selection of jewelry after the piercing heals. Circular barbells, labret rings, captive bead rings, spikes, and loop rings can be combined to make your lips look nice and different. 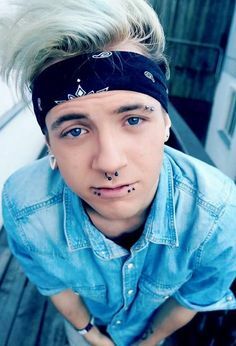 Fake lip rings can also be worn if you do not want to get this piercing done. The price of the piercing ranges between $80 and $125 in any licensed piercing parlor.